In the case of the DC Extended Universe, franchises have generally been touch and go. But early box office estimates for Aquaman have apparently compelled Warner Bros. executives to start thinking about Arthur Curry’s future. In a new profile spotlighting co-star Amber Heard, The Hollywood Reporter has revealed that Aquaman 2 is currently in development. 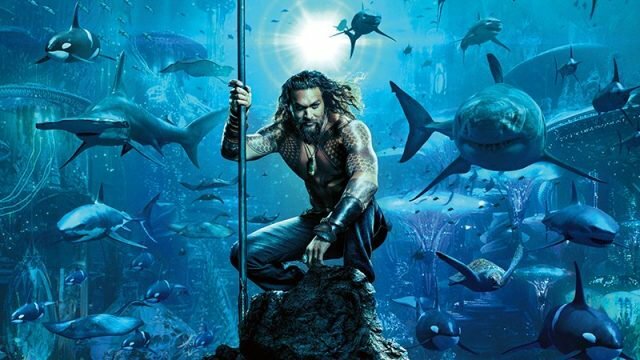 According to THR, Aquaman is tracking for a $65 million opening, which was enough to convince Warner Bros. Chairman Toby Emmerich to greenlight a second installment. It goes without saying that this number pales in comparison to most other superhero blockbusters. Regardless, the movie is expected to claim the top spot at the box office from Disney’s Mary Poppins Returns and Paramount’s Bumblebee. All three films come out the week of December 21. It also helps that early reactions to Aquaman have been positive, with critics praising it as a lighthearted origin story. Are you excited by the possibility of an Aquaman 2? Which storylines or characters would you like to see the filmmakers include? Tell us what you think in the comment section below! Tags: Aquaman, Aquaman 2, dc, DC Extended Universe, warner bros.